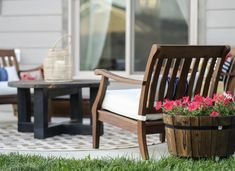 One of the things I have been doing a lot of since moving into our new home, is coming up with ways to stretch my home renovation and decor budget. We recently went from two incomes to one and it has definitely taken some getting used! So with my limited budget, I have to get creative. And can I let you in on a secret? I don’t mind at all! Penny pinching is my specialty 🙂 Lets get on to the distressed wood beam mantel! 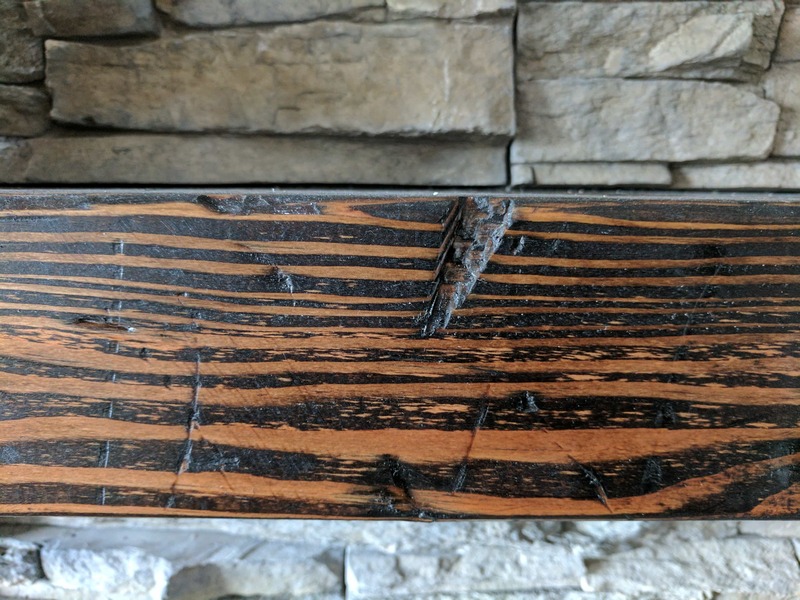 I knew that a perfectly aged, beautifully weathered, reclaimed wood beam mantle was probably going to be out of our price range. And unfortunately, being new to the area, we weren’t lucky enough to have any connections that could hook us up with a 100 year old barn to rummage through to find our own. 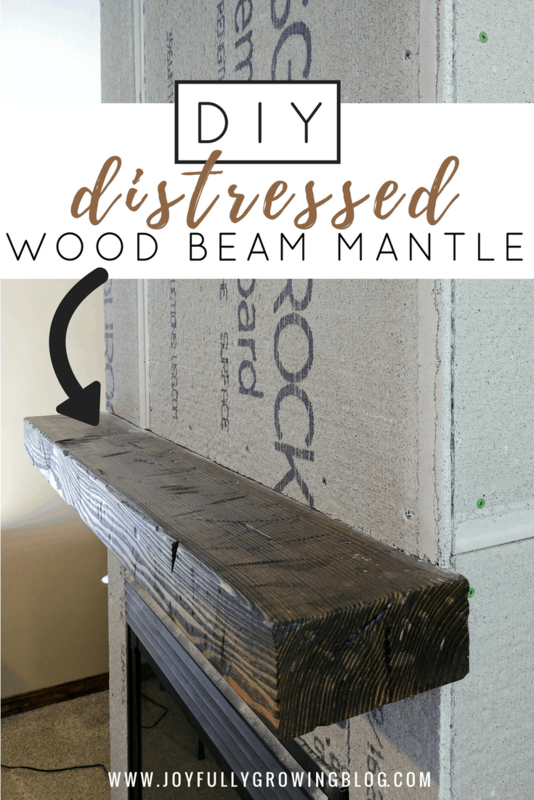 That’s when I came up with the idea to do a little DIY to get the distressed wood beam mantel look! 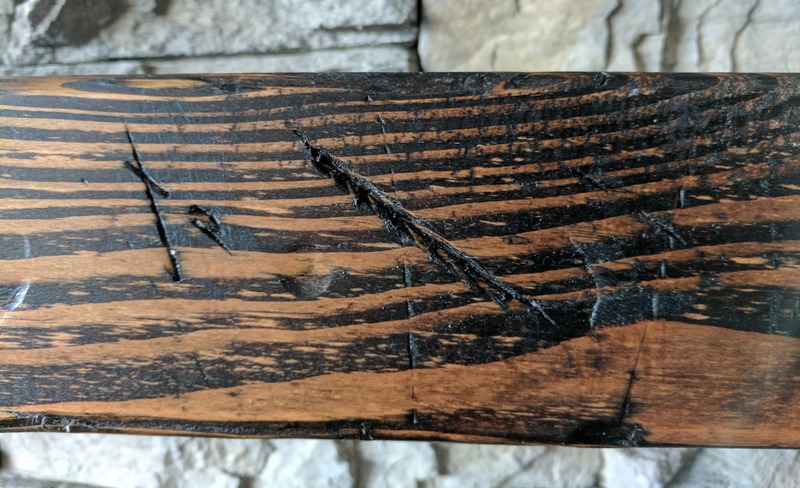 Below is my step by step process to make a brand new piece of wood look perfectly distressed! First, I sanded down all of the fresh cut edges. I wanted everything to look old and weathered so I didn’t hold back with the sanding. I used both medium and fine sandpaper strips to mix up the look and to keep it from looking too uniform. Next came the fun part! To get the distressed wood look, I grabbed any and every tool I thought would leave a nice imprint on the wood. I went to town on distressing! (this would be a good project for a day when you need to blow off some steam 😉 ). My favorite part was using a hatchet to chop out a few areas along the sides and corners to give it an authentic looking wear. Make sure to distress the wood at random, leaving marks all over. You really can’t mess this part up. The next step was staining. Dark Walnut is my stain of choice, but any color would work. 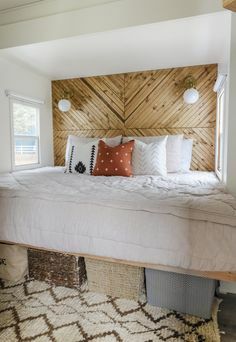 (I loved this color so much, I used it on the DIY wood plank accent wall in our master bedroom. After the first coat, it needed to dry for about 15 minutes. After drying, the excess stain needed to be wiped away with an old rag. On the second coat, I really focused on the edges and corners of the wood. This gave it an uneven coloring to add to the weathered look. Once it looked how I wanted, I sealed it with clear wipe-on poly and let that dry overnight. 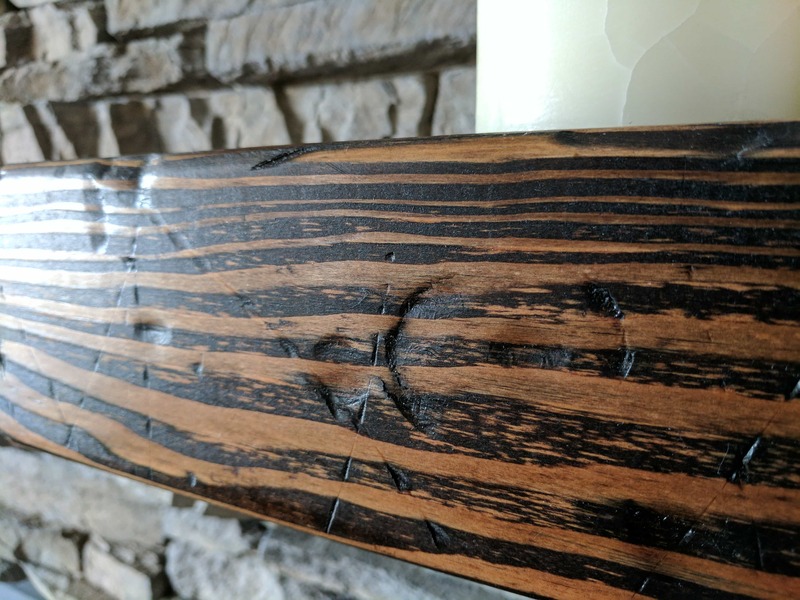 There ya go, a DIY distressed wood beam mantel. To say I’m happy with how it turned out would be quite the understatement. You can view the completed fireplace project here! 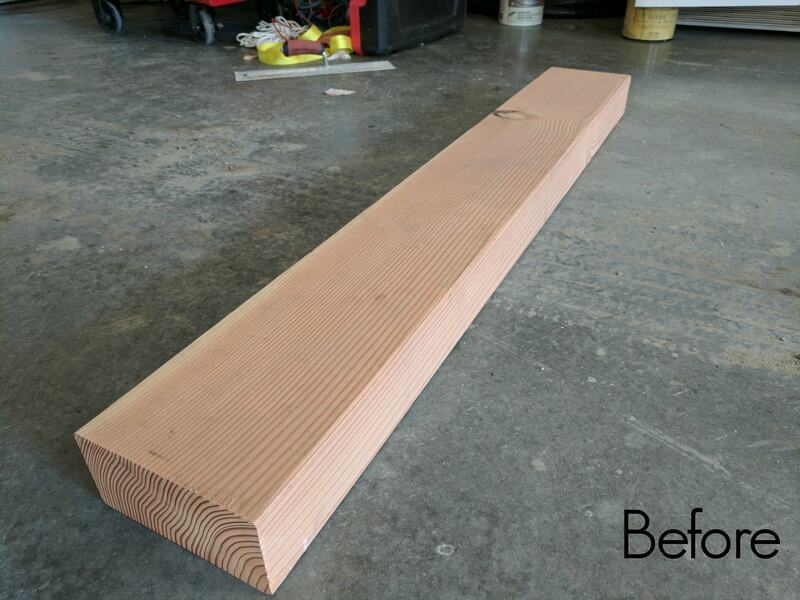 You won’t believe the before and afters! Looking for more DIY inspo? See how I used this same distressing process on our DIY blanket ladder! You are amazing, SIL! Looks fabulous! 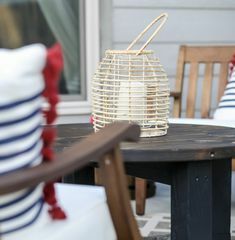 I love the rustic look. I love it. It looks super. I need a mantle…except I don’t have a fireplace. Hmmmmm. Looks Beautiful!! How did your hubby attach it to the wall? Thank You!! This turned out beautiful. 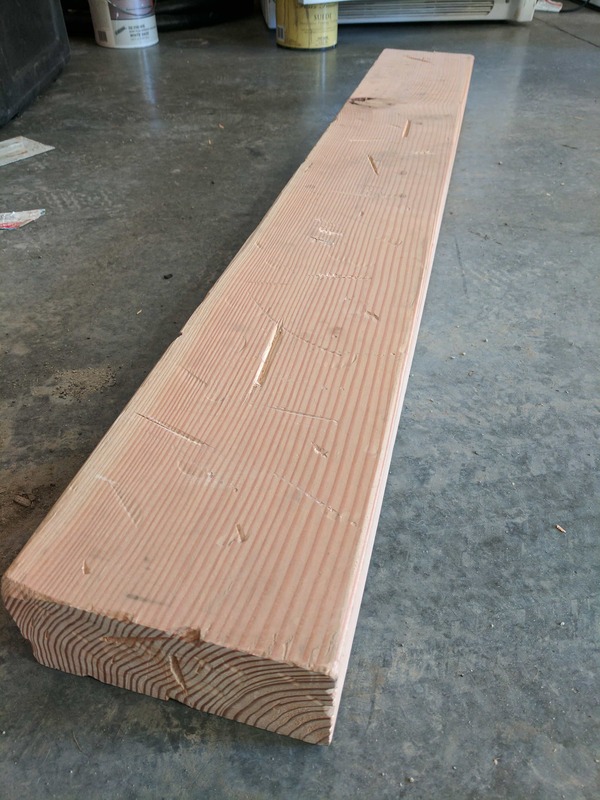 Can you tell me what kind of wood that is? I love the veining and I would like to find a similar piece! Nice job! Thanks so much! This was pine. 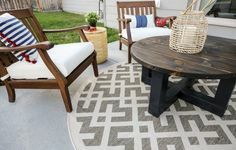 Look for lots of variation and then the stain will really bring it out! Beautiful! 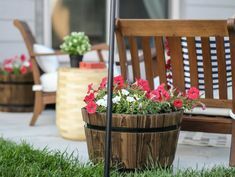 I’m adding this to my list of projects! I’m curious, how did your husband hang this? Oh yay, it makes such a huge difference! 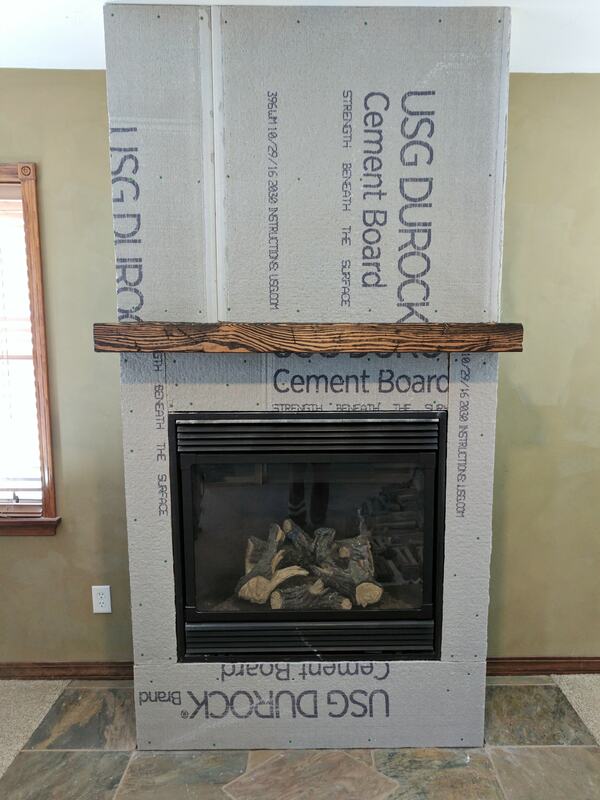 He had to frame the entire fireplace before adding the stacked stone so he was able to secure the wood beam right to the framing. How did you hang it? 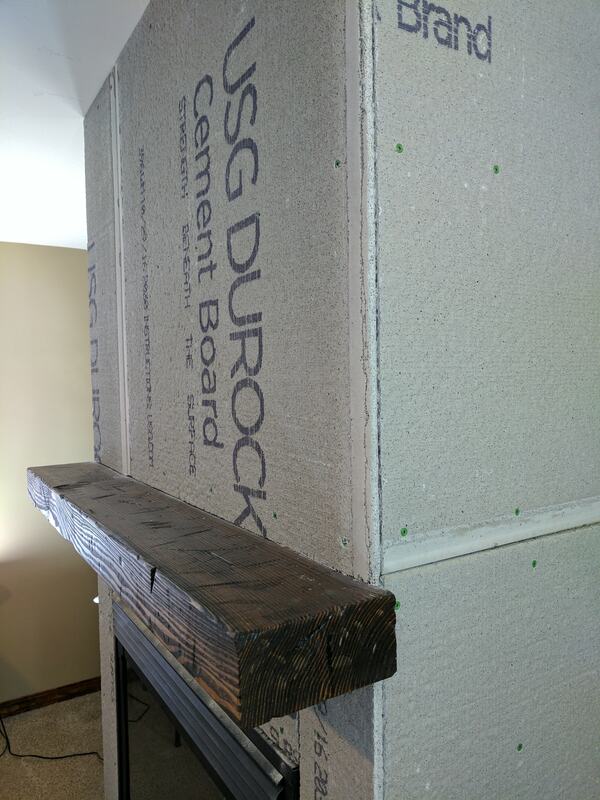 My husband had to frame the entire fireplace before adding the stacked stone so he was able to secure the wood beam right to the framing. Very nice. How did he attach the mantel to the fire place frame? Thank you! He actually had to frame the fireplace all the way up to the ceiling before we put the stone on so he was able to drill the mantle right into the frame (you may be able to see the process a little easier by viewing the fireplace makeover post). ?